New computer build. Any thought people? Okay I’m putting this up for discussion. Not argument. I have a couple Xeon procs (8 Core 2.6 GHz) and a Asrock EP2C612D16C-4L motherboard. The motherboards layout kind of screws up (as seen in pic) one of the PCI-E slots. Want to get a card that will do 4k out to a monitor. Wondering if I can get or if there are short cards that I might SLI or Crossfire to a full card? Also want at least 64Gbs of memory.There are 16 slots of ram to fill. Just nuts! Ideas people? Suggestions. “Should have got this or that board” comments will be turfed as this is the route I’m taking. Yesterday was a very bad day. Some terrible news about a friend and my brothers’ dog was a hit and run victim. Today I found out the dog is sore but okay. The news about my friend remained unchanged. Opened it up to find that is by far the best book on ZBrush that I have had in my hands so far. The book is quality throughout and the content is both eye candy and inspirational. I know this sounds like I’m a fanboi but this book has awesome all over it. The only part I felt was not so great is the length of one of the chapters. “Creating Fantasy Characters” I thought it could have been summed up/condensed a bit better. 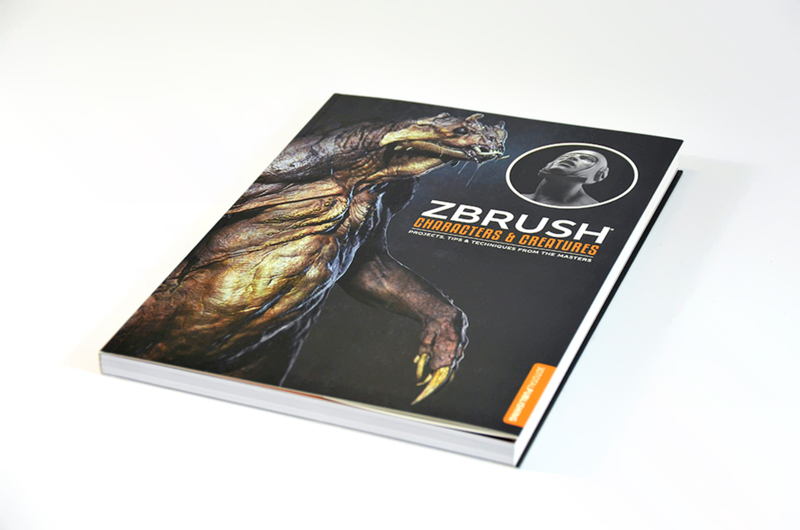 Other than that it is a book I would recommend to anyone that uses ZBrush. New or old user. Oh and for those of you that can never find a bookmark laying about, it has one built into the front cover! Nice touch people. Holy Freakoly Batman! 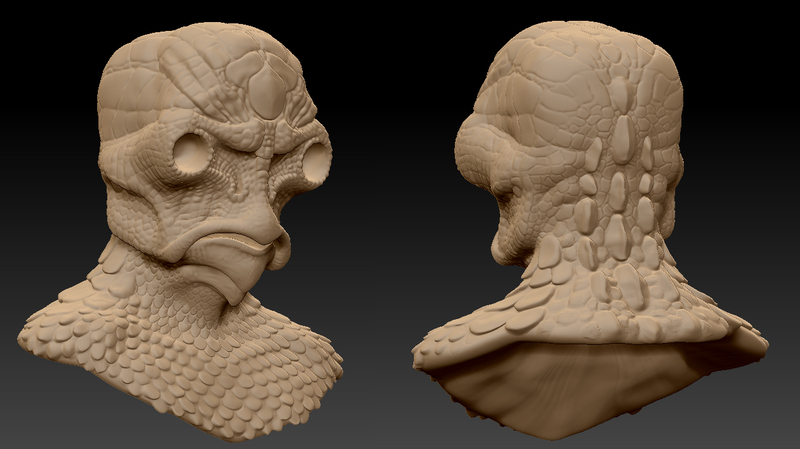 The new ZBrush is here! Woke up to a late Christmas present this morning from Pixologic! 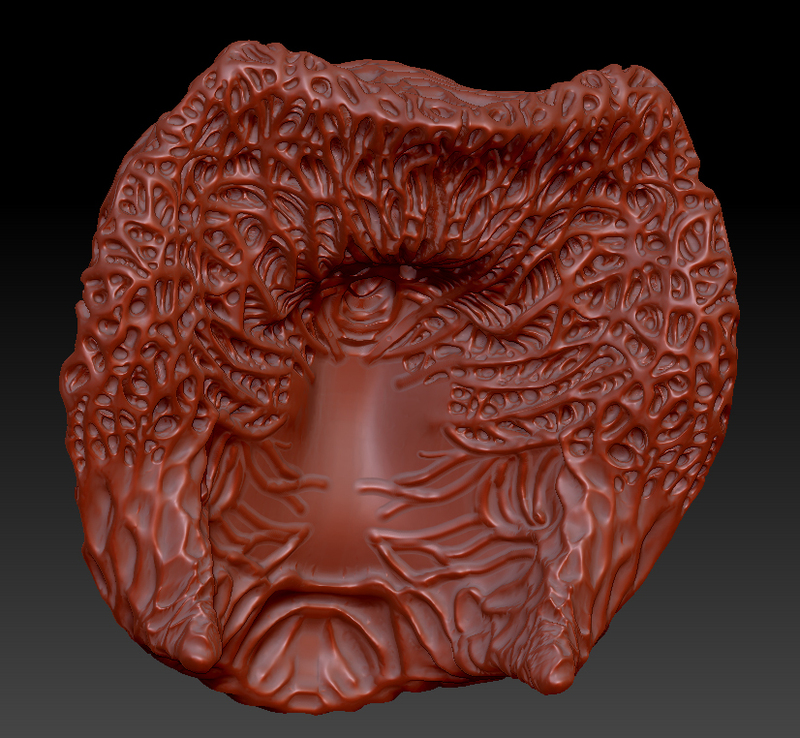 64bit ZBrush is finally here! Yes I am excited. I will be more excited once I get my monster computer going again. With perhaps some more ram in it! Thanks for making my day Pixologic and team! The New Burt Reynolds of scifi! 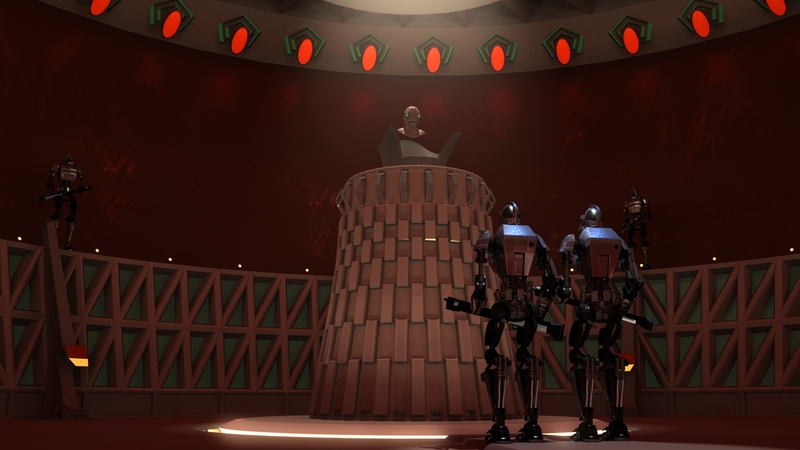 Who knew the Imperious Leader needed a hair piece? I wonder what these things set it back? Any how, here be where I’m at the moment on it’s wig. Okay a rough wig is done. Still a lot of details to go! Imp Leader now needs a wig! I think this is as far as I’ll take the Imperious Leader face wise. Next is on to the wig and hands! Remember this is a re-imagining of the set if there had been oodles of money to spend on construction.